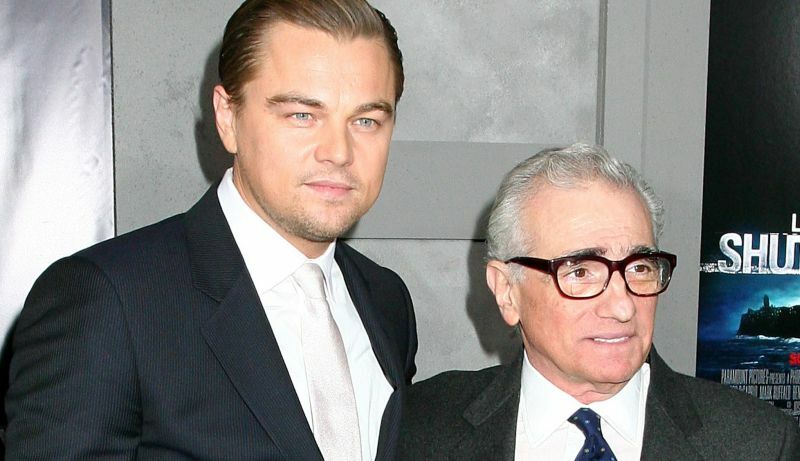 Deadline reports that after potential development on an adaptation last summer, Leonardo DiCaprio and Martin Scorcese will re-team once again for a film version of the 2017 non-fiction thriller Killers of the Flower Moon. It was originally reported in July ’17 that the two were working on an adaptation with frequent Scorcese collaborator Robert De Niro (The Irishman), but nothing solid came about it until now as the Oscar-winning actor and director have officially signed on to direct the film and star in it. Based on the novel of the same name from David Grann, the film will follow the investigation into the grisly murders of wealthy Osage people in Osage County, Oklahoma in the 1920s shortly after oil was discovered under their land. The FBI, still early in the creation phase, took on the case and discovered a horrible secret behind the spree. The film, written by Eric Roth (A Star is Born), is produced by Imperative Entertainment, who acquired the rights for the novel for $5 million, as well as Scorcese, Appian Way Productions and Sikelia Productions. Producers are currently meeting with members of the Osage Nation and are scouting locations for production, which is set to commence sometime during summer 2019. Killers of the Flower Moon will mark DiCaprio and Scorcese’s seventh collaboration together after working on multiple Oscar-nominated and winning films beginning with 2002’s Gangs of New York followed by 2004’s The Aviator, which was the actor’s first Oscar-nominated performance with the director, 2006’s The Departed, 2010’s Shutter Island, 2013’s The Wolf of Wall Street and the 2015 short film The Audition.